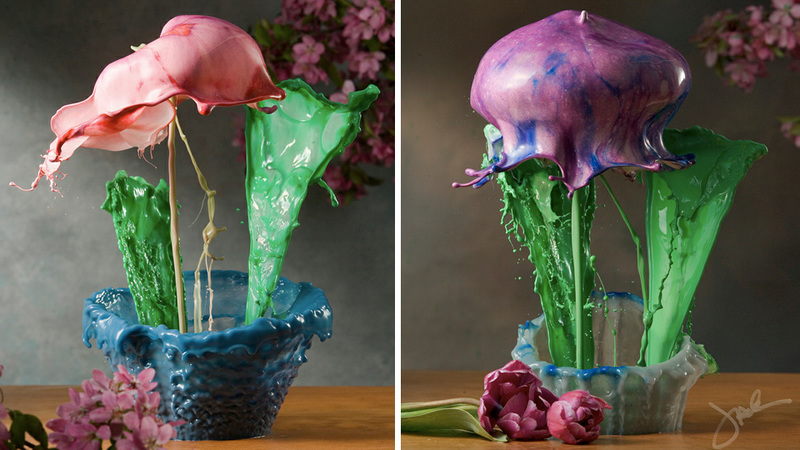 It's hard to imagine that these still-life flower photos, made of splashed paint, were created without the assistance of Photoshop or 3D software. But photographer Jack Long captures each shot as a single event in camera. Not one of these images was assembled from multiple exposures, and that's just amazing. Understandably, Jack isn't keen on sharing how exactly he manages to capture these perfect moments frozen in time. But he has pointed out that each shot represents months of planning and testing as he mixes up the perfect concoction to create the flowers, as well as hundreds of photos taken during the process, until he has a handful that stand out as being the best. Normally we're extremely curious about how amazing photos like these are captured. 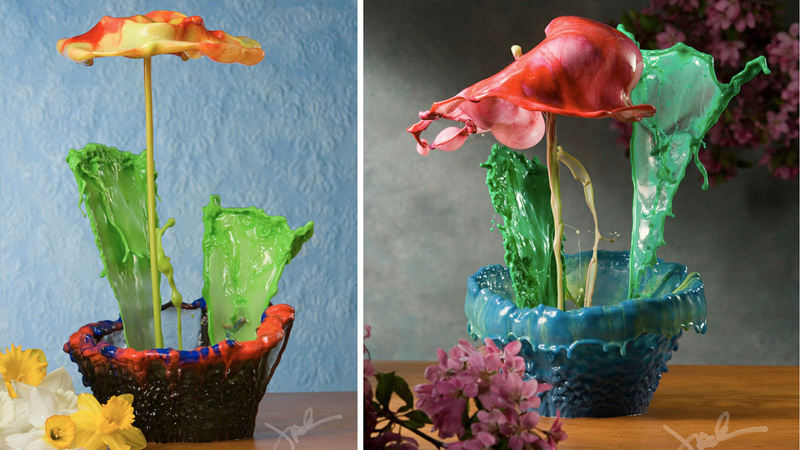 But this time, while we have a few theories as to how he does it (what exactly is inside those splashing vases?) we're actually happy to just sit back and enjoy the results for a change. Images by Jack Long used with permission.